When it comes to gaming journalism, ethics are generally lacking across the board. We’ve seen writers fired for giving negative reviews to heavily publicised games. Websites have exchanged great scores for early access (as seen in the Drivergate scandal). And well, if GamerGate proved anything, it’s that a lot of journalists seem to band together like an internet fraternity. That gaming journalists have almost become an internet priesthood dedicated to protecting its own. In a world like that, a media controversy in the world of gaming journalism is almost irrelevant. I mean, how can you possibly top fired reviewers or dodgy scores? Well, by taking down negative review scores on behalf of the game publisher, that’s how! Which is exactly what The Sixth Axis did with their NBA 2K18 score after 2K games got in touch. That’s because (as you may know), NBA 2K18 is a bit of a trainwreck. It’s got save files that are far bigger than they have any need to be. It’s plagued with poor game design elements like artificial difficulty. And like so many triple A games nowadays, it’s filled to the brim with microtransactions and pay to win gameplay elements. So, the The Sixth Axis’ reviewer slapped the game with a deserving 3/10 score. Exactly what you’d expect for a poorly designed game like this. 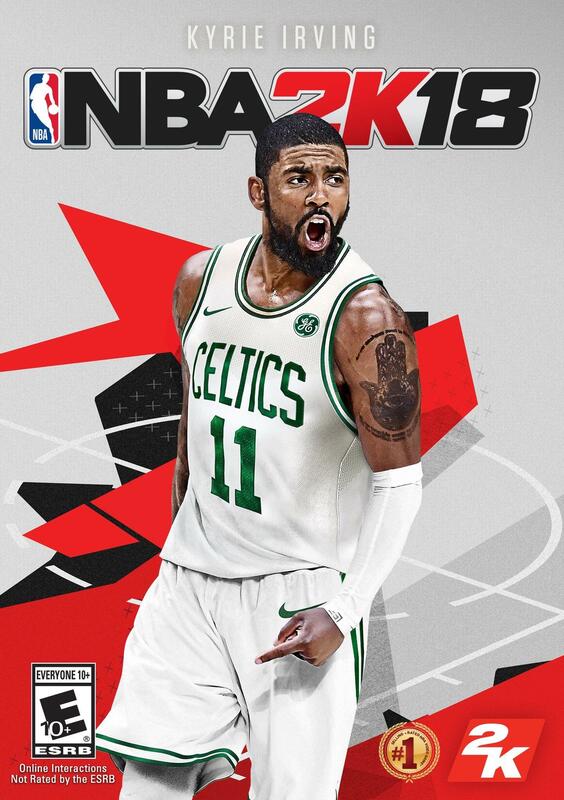 Update: In discussion with 2K Games, we’ve temporarily removed the score pending a statement with regard to our criticisms, at which point it will be reinstated. Additionally, a draft conclusion was posted that incorrectly characterised our score as a protest vote, and has been reworded to reflect that our criticisms are rooted in the effect that VC and microtransactions have on the gameplay. Hello. Reviewer here. After review went live I’ve had no direct contact with 2K, instead their PR is chatting with my editor. All I know is that 2K are to issue a statement of some sort regarding issues raised in the review. Of course, the real issue is what updates the 2K18’s VC system gets. Just think of this as a review now in progress. If things remain unchanged so will my opinion. So not only have we got a site removing scores because of negative from the publisher, but they’re not even working with the actual writers when they do so. Real respectful guys! How nice of you to annoy your reviewers by editing their work behind their back. It’s really bad news all round really. And you know what else it is? Completely ridiculous as far as journalism is concerned. Firstly, it doesn’t matter what the editors or company think, the review score on a review is based on the reviewer’s experience with the game. If that’s a negative score… then that’s a negative score. It’s not for the publisher or developer to ‘negotiate’, regardless of whether their bonus depends on their Metacritic average. Secondly, it’s certainly not a website’s job to edit its reviewer’s scores for games. Yes, there are likely a few exceptions in extraordinary circumstances (like say, the reviewer not actually playing the game before writing the review), but for the most part they’re supposed to trust what their writers are saying. Is that against the direction of the industry? Maybe, but it’s not a site’s job to match ‘public consensus’. For instance, while Gamespot’s Luigi’s Mansion 2 review may be poorly done, it’s still the valid opinion of its writer, and it shouldn’t be up to Gamespot to ‘update the score’ to avoid controversy. Same goes here with this guy’s NBA 2K18 review. It’s not what 2K games wanted, and it might not be what The Sixth Axis wanted, but it’s a valid review none the less. By changing it, the site has proven they don’t respect their writers and are willing to kowtow to the industry to stay on good terms with PR staff. And that ties into something I’ve seen quite a lot in modern journalism. Not just gaming journalism, but modern journalism as a whole. Namely, a lack of rebelliousness and general obsession with trying to ‘remain on good terms’ with everyone. It feels like modern publications (and a fair few journalists) aren’t willing to take the same risks any more. They’re too concerned about what powerful companies, organisations and individuals think to really do anything resembling hard hitting journalism. And that’s a huge mistake. Being a journalist isn’t about winning friends (though it may be in part about influencing people), it’s about saying what needs to be said. It’s about bringing issues to light regardless of who’s involved, and holding the powerful to account. But let’s not dwell on that part too much. This is about a review score being edited behind a journalist’s back, and that’s bad enough on its own. So, thank you Sixth Axis, you’ve taught me that your site isn’t a reliable source of news and reviews. Thank you 2K Games, you’ve also taught me not to buy any of your games in the new future, since you feel a simple negative score is cause enough to complain to a website and demand they take it down. Finally, thanks to the original reviewer here for letting me know this game isn’t worth the money. At least that part’s been kept nice and clear here. I had an editor take a hatchet to a review I did so they could alter the score I gave it…all behind my back. When I found out I quit and demanded my name off the revised review. Wow, that’s horrible. Have you got a link to the review or what not? Because this sounds like the kind of story quite a few people would be interested in hearing about, especially folks like Larry Bundy Jr or SidAlpha. Wait, they turned the first article into the second? The two articles are literally nothing like each other. Did the editor literally rewrite the entire thing himself? The first article is what was suubmitted to the site that took that submission and turned it into the second version published on OPNoobs. After I demanded my name off it I got “fired” and they scrubbed my reviews off the site. BTW this was the first major publisher to give them a review copy and it was published the same day, or a day or so before, they were approved as a Metacritic review site. Jeez, that’s got to be the most horrendous way to treat a journalist ever. Thanks for telling me to never use OPNoobs for anything in future, since it’s clear the people running it have no ethics whatsoever. No problem! Feel free to shoot this over to whoever you think would be interested. I have the emails from OPNoobs about the whole incident as well as the ones showing that I did indeed send the longer, more in depth article before they butchered it. Can you send them via an email or Twitter message? Cause then I can tell a bunch of people about this, as well as maybe write an article on the matter in future.